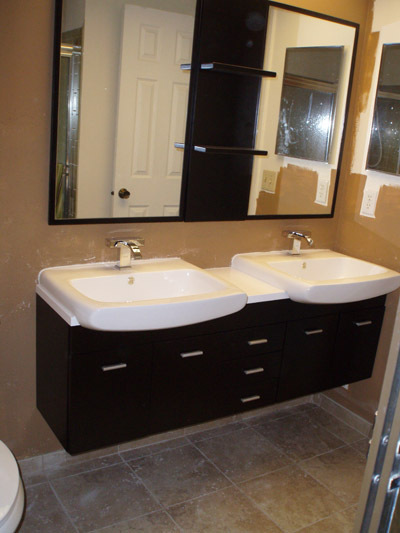 We have also been known to do custom carpentry, woodworking and trim. Often a customer wants to re-surface their kitchen cabinets, re-model a bathroom vanity, or build a custom window seat etc. We make custom curved bullnosings, special headers, finger into existing flooring, create hand railings and other custom carpentry. Our staff is knowledgable and capable in handling any special woodworking in addition to the flooring. 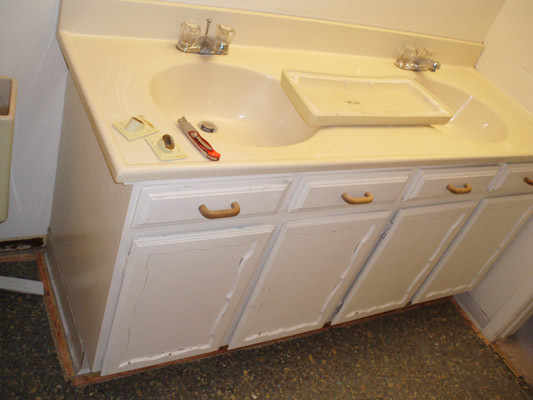 We have built custom vanities, resurfaced cabinet doors, painted, stained and replaced doors and more. See our Stairs Page for custom steps and railings we have done. Also we are able to undercut doors if they no longer fit due to the hardwood, and add and remove trim and base. Photos from top: This customer originally just hired DC Hardwood Flooring to tear out the vinyl in their bathroom and replace it with tile. She found out we could also replace the vanity and sinks for her while we were there. It gave her bathroom a whole new look with the new tile and new vanity. We have professional paint sprayers as well. 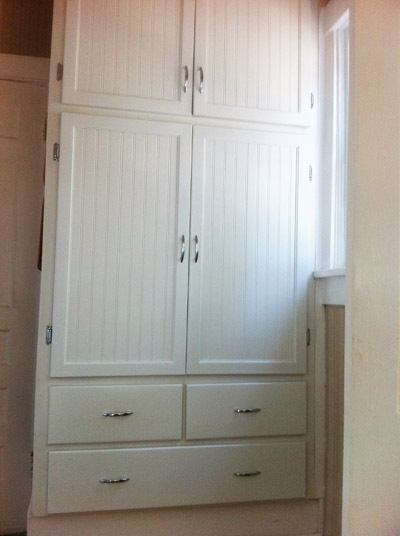 We were able to remove the doors on this pantry and spray the whole thing white at our shop. 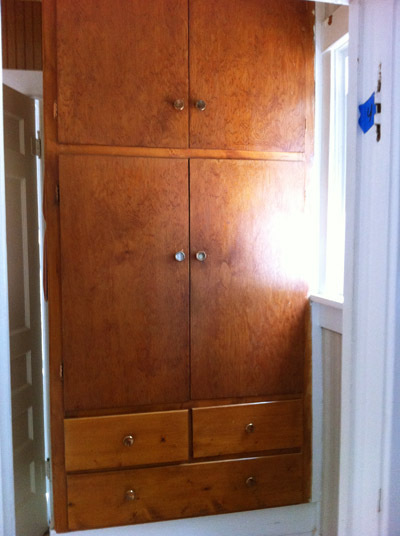 Then we remodeled the doors with a wainscoting inset panel and replaced the hardware. We did all of this customer’s kitchen cabinets the same way, with the wainscoting panels sprayed white, so all the cabinetry matched. It gave her home a nice country feel and brightened the room a great deal. 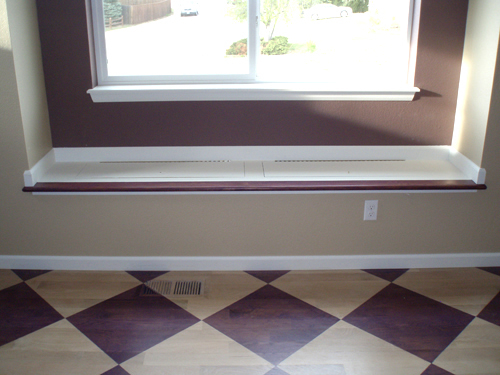 Of course we did the diamond stain on the floor in the photo below, and we framed out the window seat to match the floor. It looked very sharp.